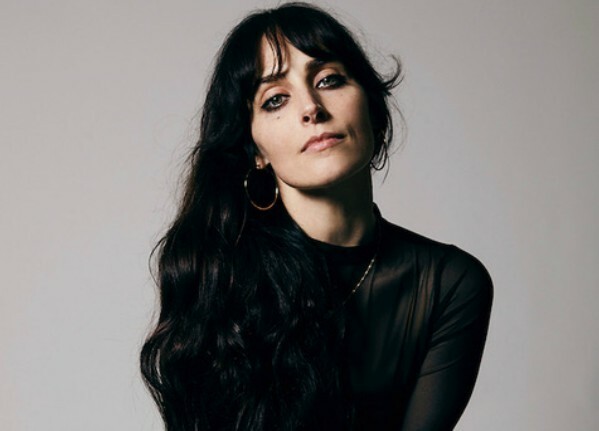 James spent most of her post-adolescent life touring the world, first as a photographer, then as the bassist of bands like Dum Dum Girls and Marnie Stern, before finding her way back to her original goal of directing. Her background in music and performance allows her to see eye-to-eye with artists, which led James to helm music clips for such artist as Halsey, MØ, Troye Sivan, Dev Hynes, and Alessia Cara, James earned a nomination at the Brit Awards for Rita Ora’s “Let You Love Me.” Meanwhile a recent collaboration with Bishop Briggs, “Baby,” is in competition at this year’s SXSW. In 2018, James directed her debut short film, Blue Lips, which stars Tove Lo. James’ knack for capturing realness in her subjects, stories, and locations has been a draw for advertising clients, yielding commercials for Bacardi, Bose, and adidas, among others. The Bose project entailed three spots produced by Vice. She also directed and photographed a campaign for Sephora. Her ability to meld genres shines through in her branded music video for MailChimp featuring VeilHymn, a musical collaboration between Devonte Hynes (Blood Orange) and Bryndon Cook (Starchild & The New Romantic). Shooting in Kingston, Jamaica for agency Droga5, James explored dance, production design, and retro aesthetics to build a surreal world that never actually existed. Years of touring makes her uniquely capable to shoot anywhere, while her photography background enables her to engage closely with DPs, articulating her vision in their language. Her photography book, “Girl in a Girl Band,” is due to be released at the end of 2019. Strike Anywhere has its roots in storytelling. Co-founder Barry Jenkins, who’s no longer with Strike Anywhere, made his feature debut, Medicine for Melancholy, at the shop. Other prime entertainment projects out of Strike Anywhere have included Michael Jacobs’ lauded ESPN 30 for 30 films, Justin Barber’s feature Phoenix Forgotten distributed by 20th Century Fox, and Ryan Simon’s documentary The Black Jacket on Netflix. James joins a Strike Anywhere directorial roster which includes Barber, Jacobs, Simon, Aaron Beckum and Matt Sklar. Full-service production company, Strike Anywhere, expands with addition of Cori Cooperider as Executive Producer.